America’s most pressing problem: Leaving your peas on your plate after you’ve finished dinner. And since this is America’s most pressing problem, America’s most responsive branch of government, the Obama administration, is doing something about it right now! “Agriculture Secretary Tom Vilsack said America needs to stop wasting food, even if that means teaching people to cut back on the amount of food on their plates. 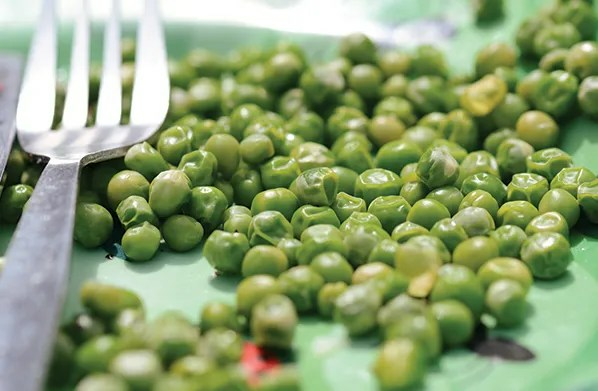 By 2030, only half as many peas left on the plate. The America that wastes food and eats poorly is not that part of America where mom still makes creamed beets. It’s no accident that “America needs to stop wasting food, even if that means teaching people to cut back on the amount of food on their plates” sounds so much like Hillary Clinton saying “We’re going to take things away from you”. Clandestine redistribution beckons, repackaged as a greater, greenwashed good.